From the little errors to the not-so little ones. Mistakes can be hard to deal with, leaving you with painful memories and reminders. They can make you feel ashamed of yourself and want to hide away from the world – especially friends and loved ones. But mistakes are an inevitable part of our daily lives. Embarrassing little mistakes can happen when putting together a simple meal and bigger ones while putting together a term paper. 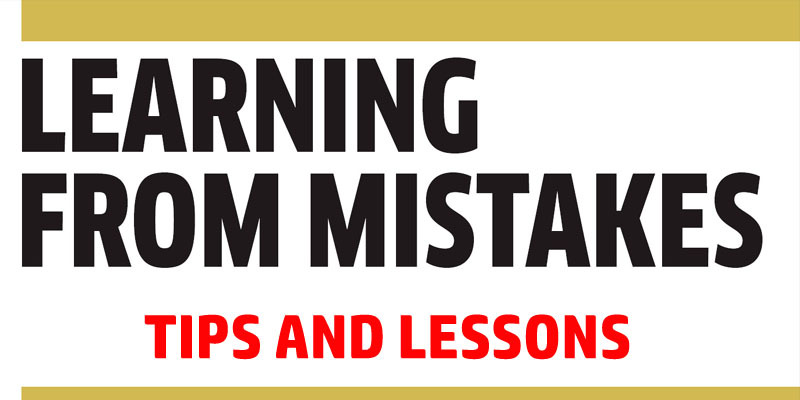 Whether it seems like a negligible type or one that stops your breathe and embarrasses you out of your skin; you can turn such mistakes into learning opportunities. Opportunities to grow and change and become better. Rather than turn them into dark, scary road blocks. The first step is to accept that mistakes are human; and you can never become perfect. Seek instead excellence in whatever you do. And with this awareness and acceptance comes the opportunity to embrace the lessons found in each mistake. You can grow stronger and wiser from each experience, no matter how little. We love beauty in its perfect form, from art to architecture and technology. But life is far from perfect. We get crooked results and less than perfect outcomes in many things we do. This world was created with imperfections. But, even with that realization of an imperfect world we get angry and frustrated from the countless mistakes we make. Jannah (Paradise) is the only perfect place, and way beyond our imagination. Your goal should be to survive through the temporary imperfections so as to get to the perfect and eternal destination. Don’t lose your sleep over what cannot be undone. Move ahead with focus over what needs to be done. * So, the toast got burned not you – get a move on. Each mistake brings a new learning experience. Anticipate it and never stop learning.